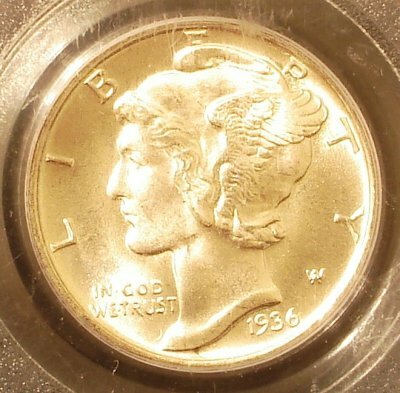 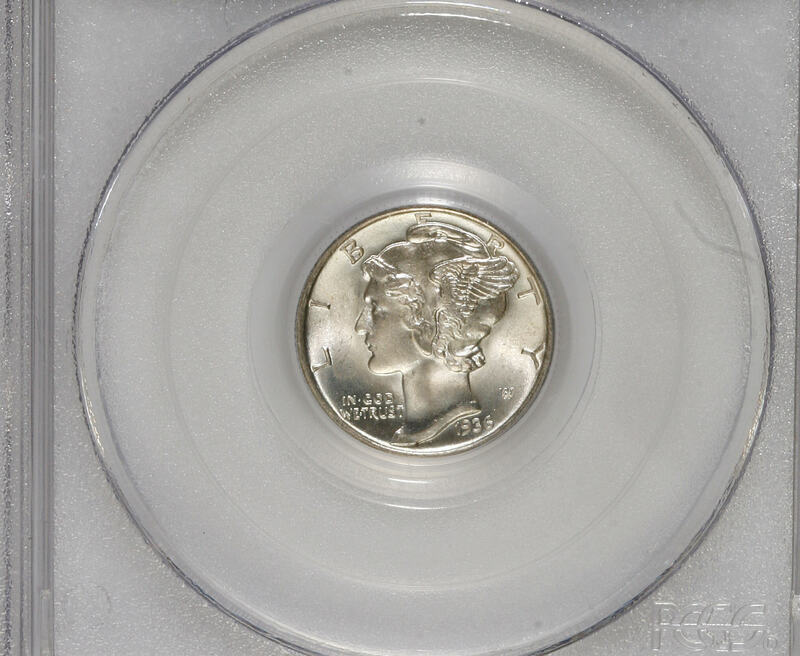 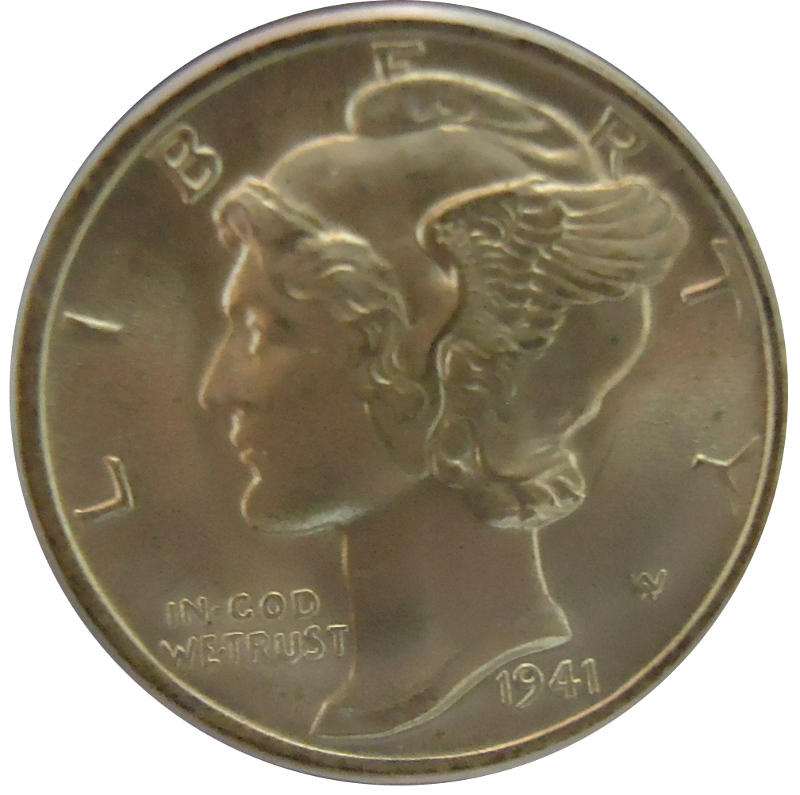 Mercury Dimes, also known as Liberty Head Dimes, is the classic 20th century coin which as come to standout represent much of American coinage. 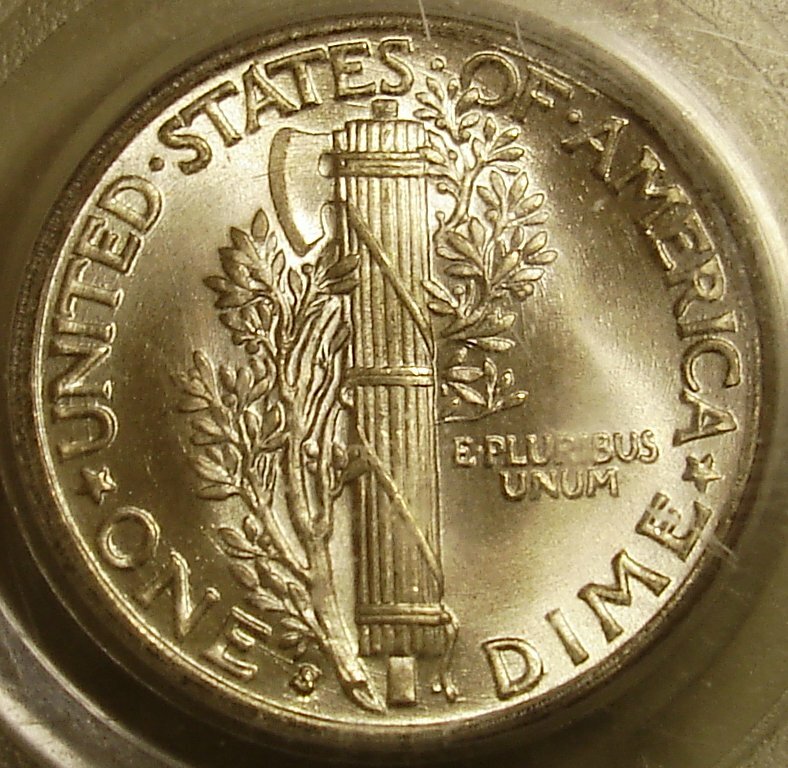 In some regards, it is the vision fulfilled of the overhaul in coinage designs began under the Teddy Roosevelt administration at the turn of the century. 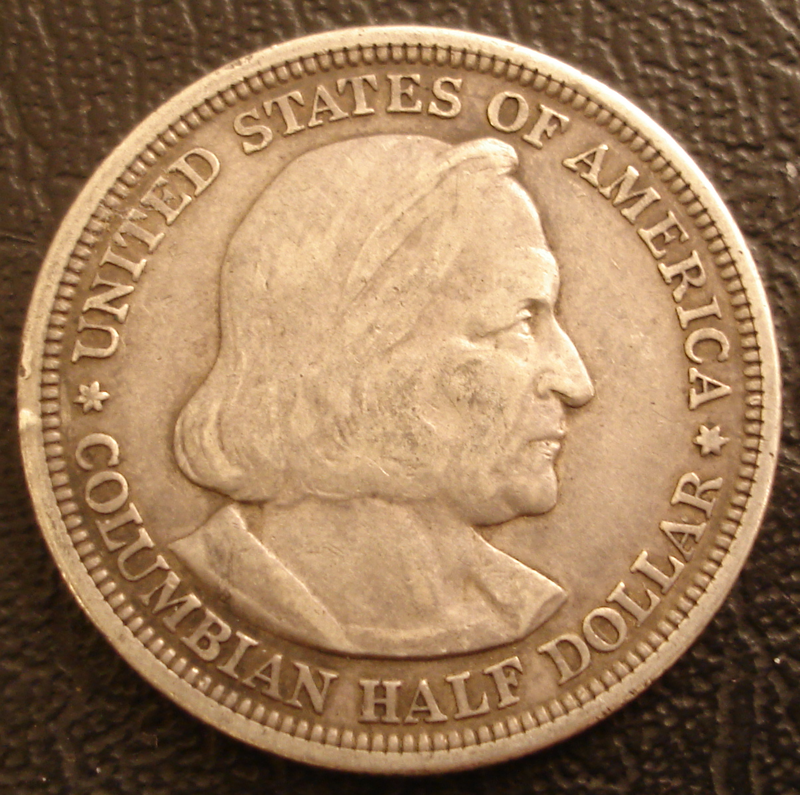 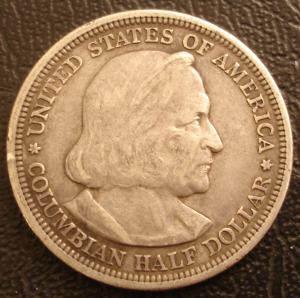 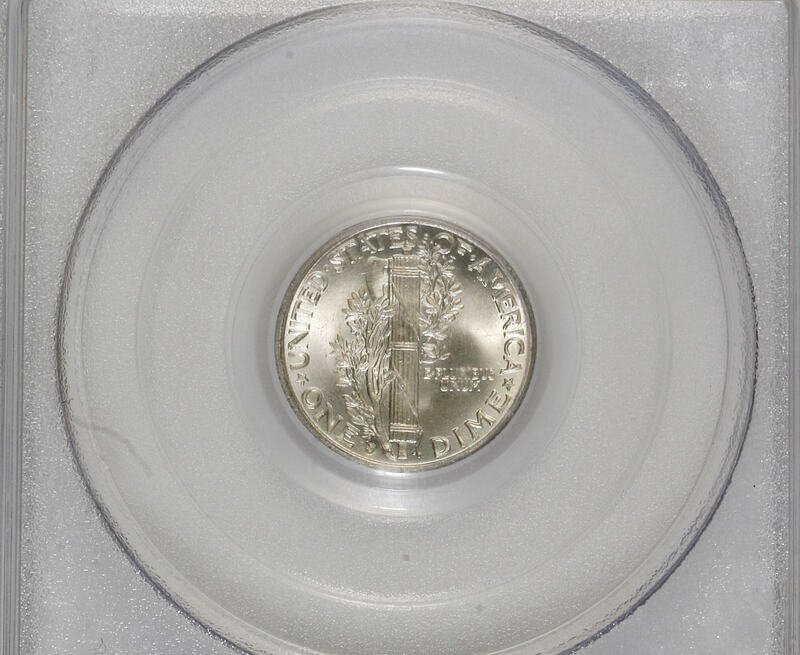 The design was created by Alfred A Weinman, the creater of the Walking Liberty Half Dollar. As with the Walking Liberty Half. 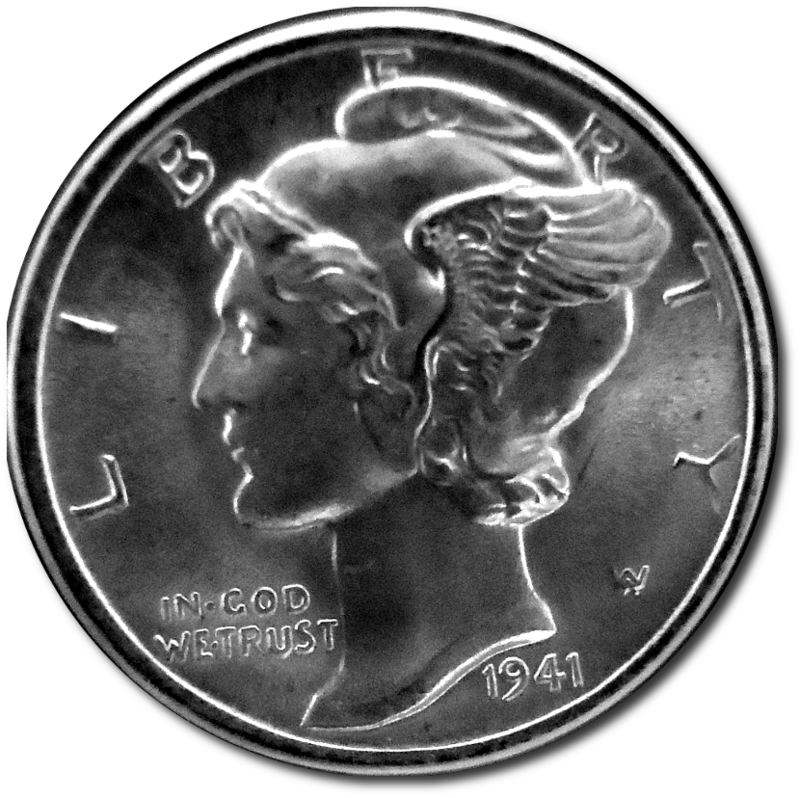 the Libery Head Dime is a Neo-Classical design and the likeness of the Liberty to the Mythological Apollo is not just coincidental. 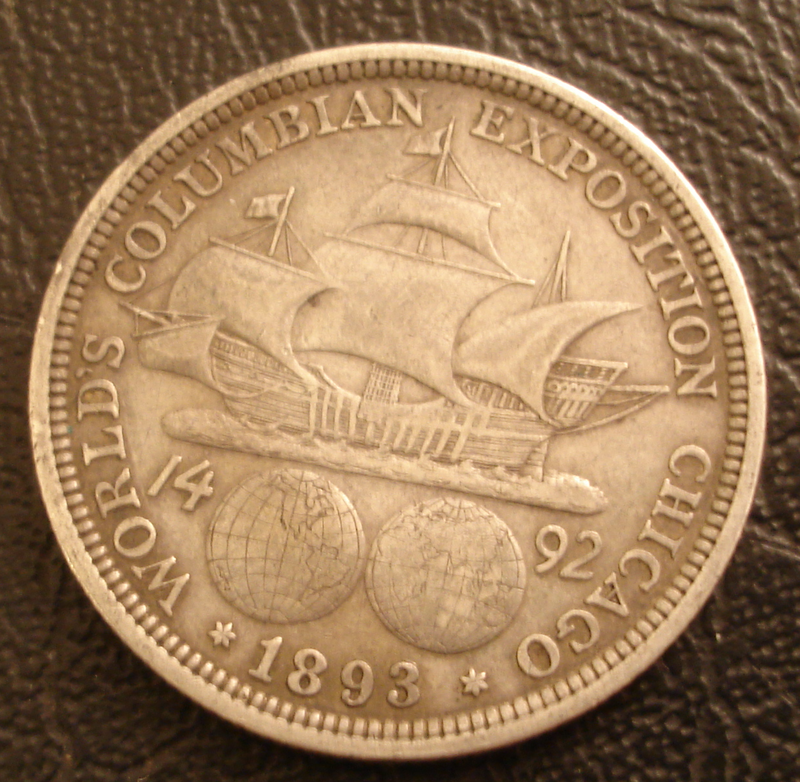 The resulting hedonist reference was enourmously popular with the public and then adopted by by many comercial institutions, spreading the fame of the design even further. 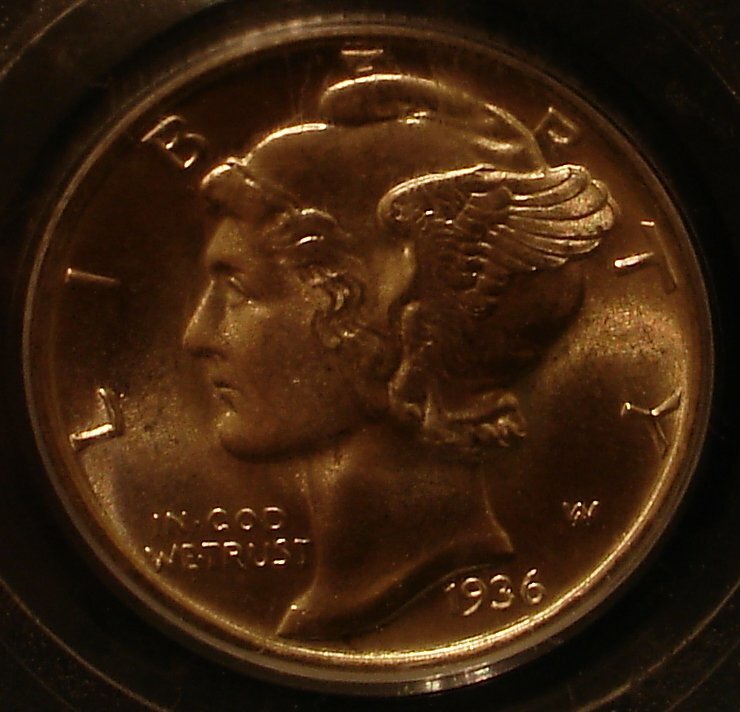 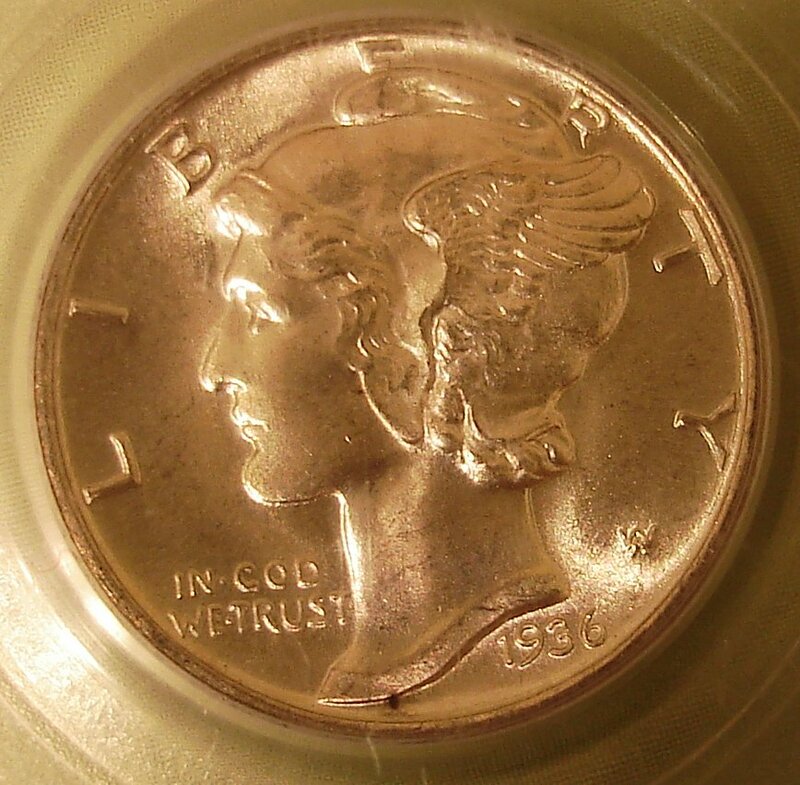 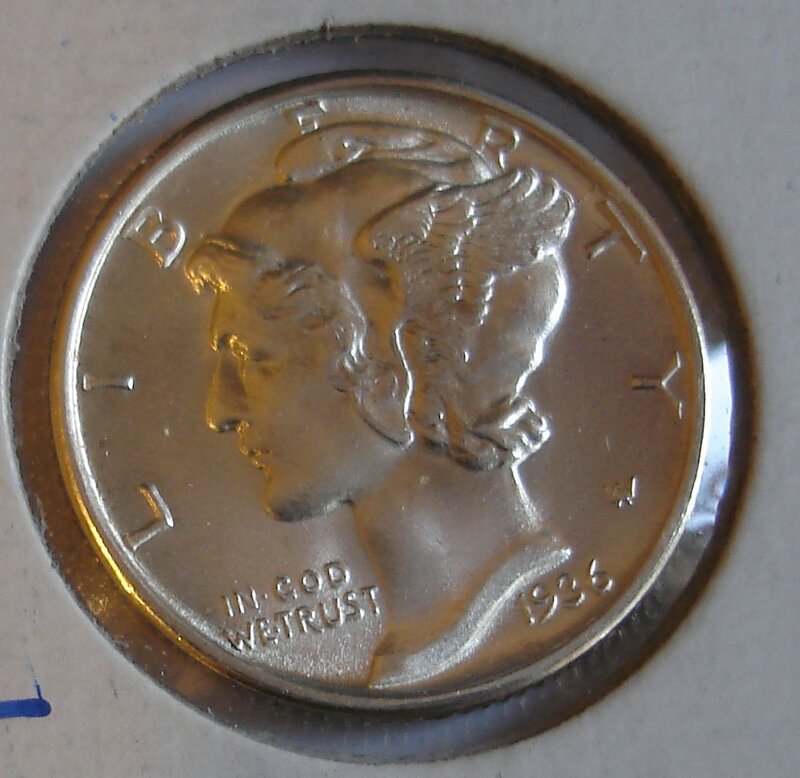 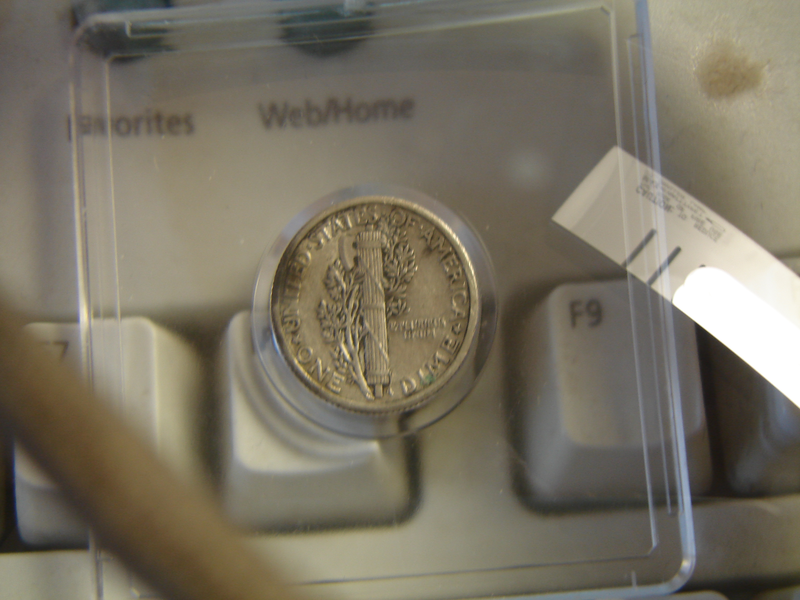 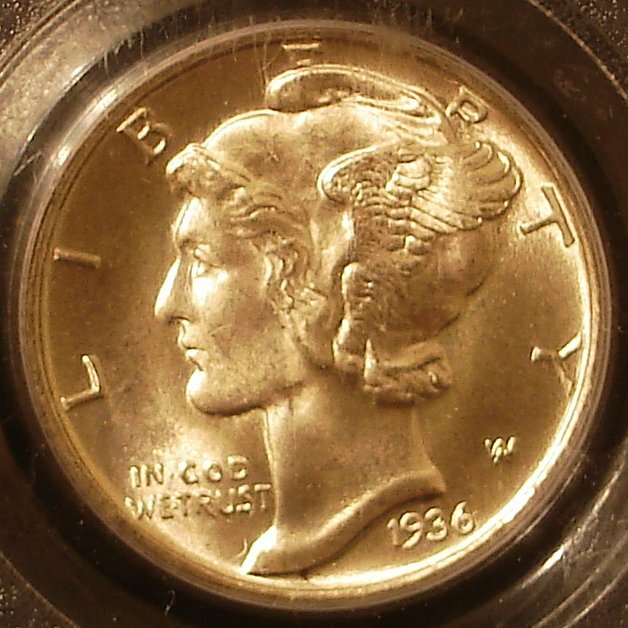 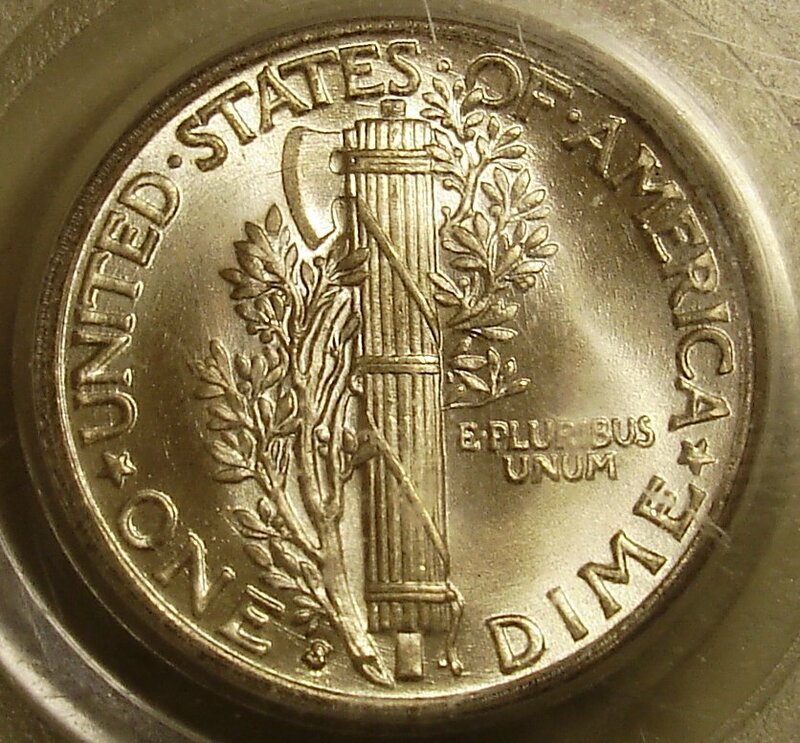 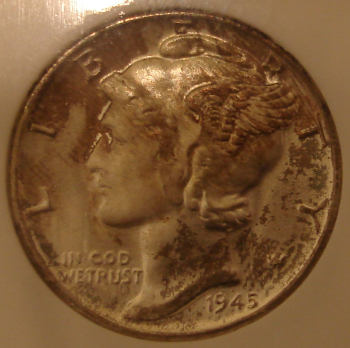 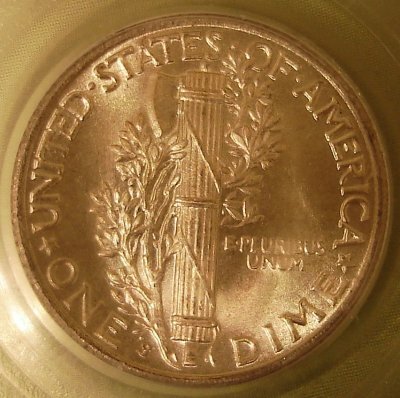 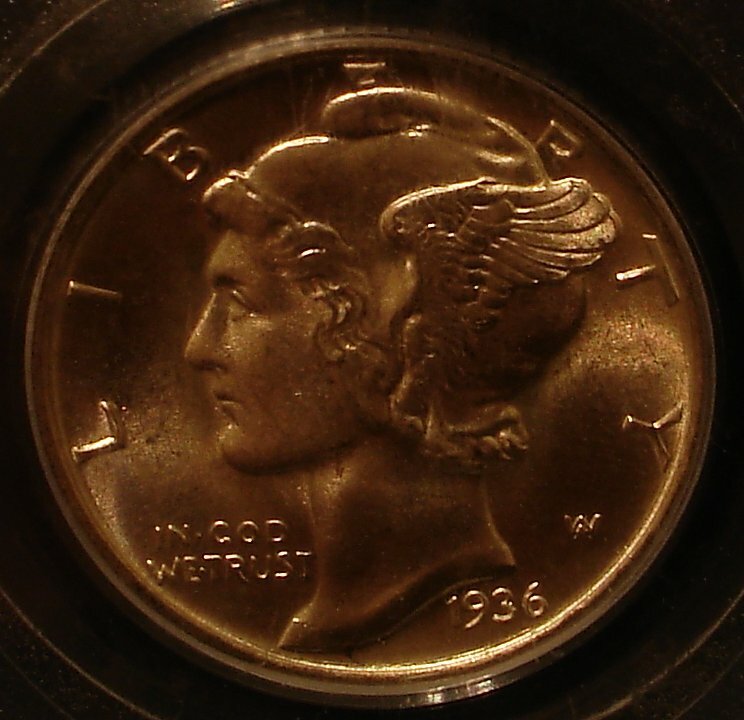 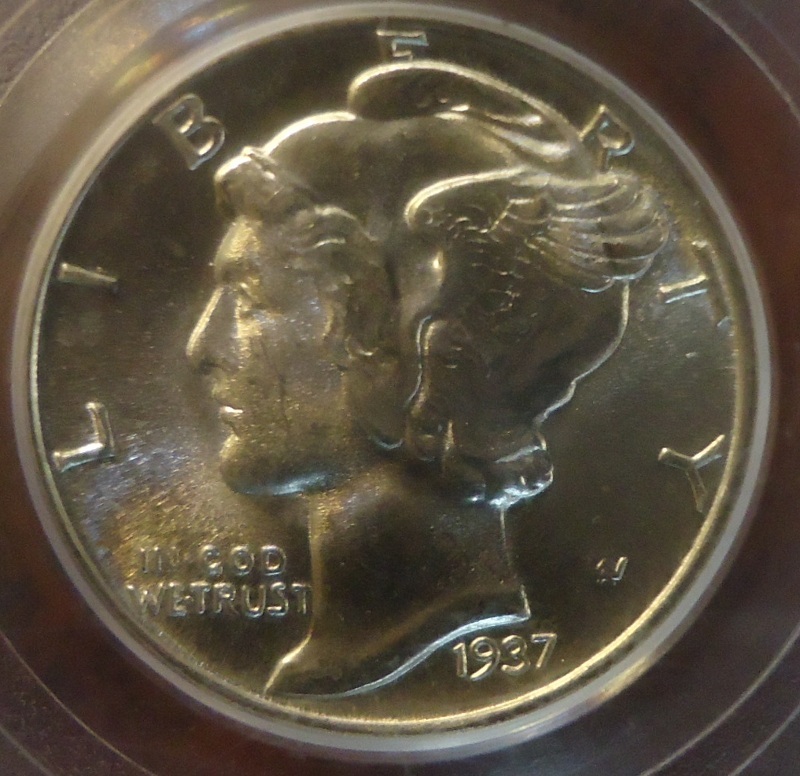 The Mercury Dime mottif was carved and molded into hundreds of banks across the nation. The image also became famous in the "March of Dimes" campaign, championed by President Franklin Roosevelt until his death. Dimes, given their size, make for coins which are very senstive to the slightest imperfection in the strike or damage. 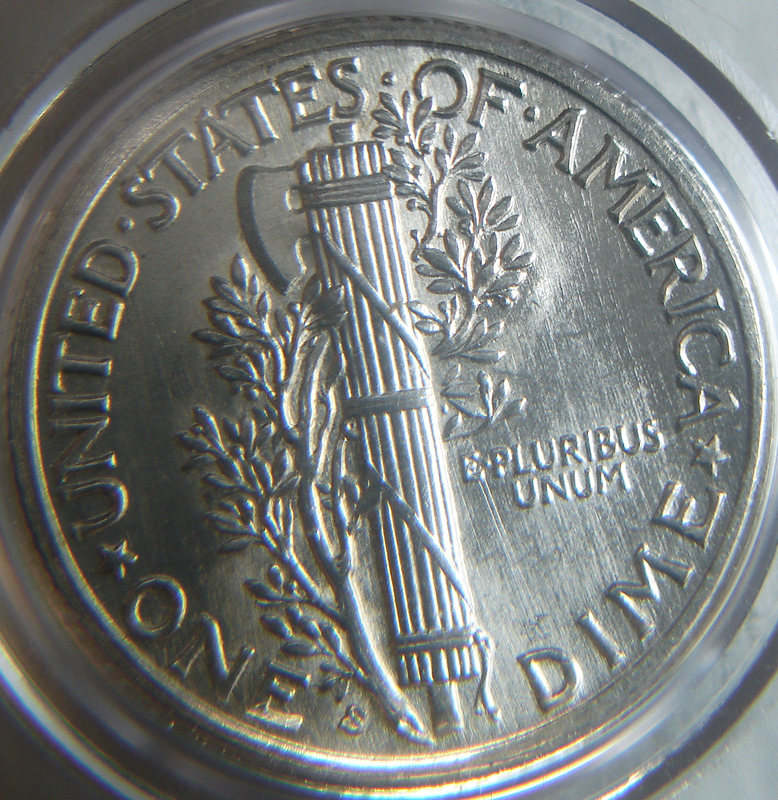 A good magnifying glass is necessary to make any credible attempt at grading, or to appreciate these little gems. 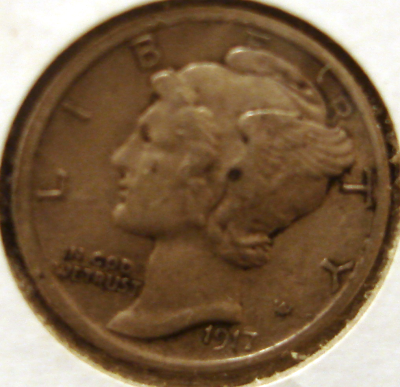 We have aquired just a few coins to date, and the first one caused immediate controversy. 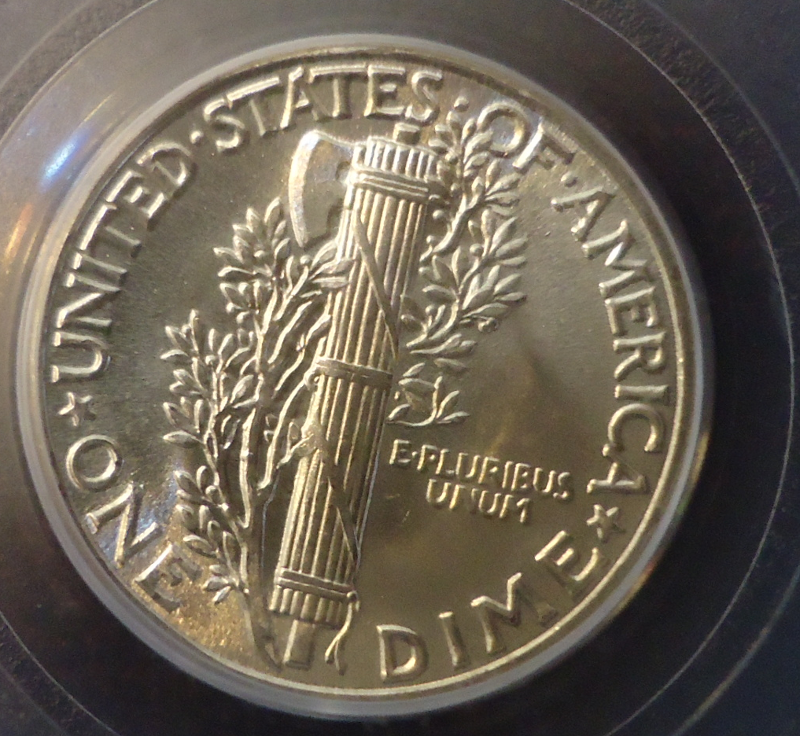 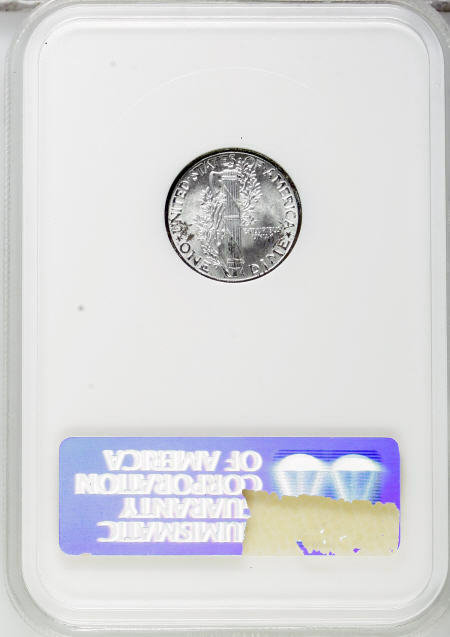 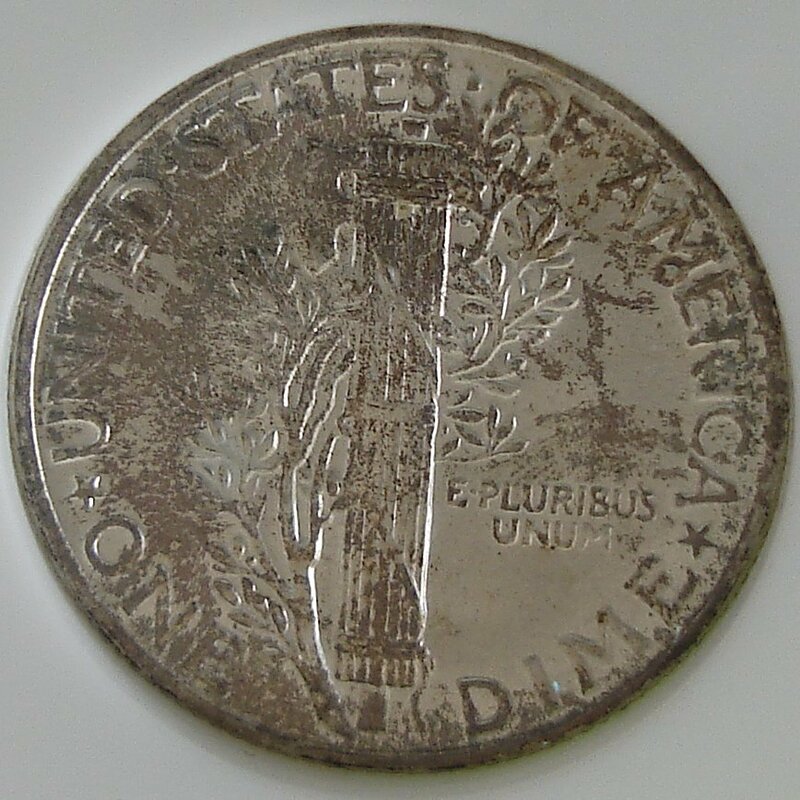 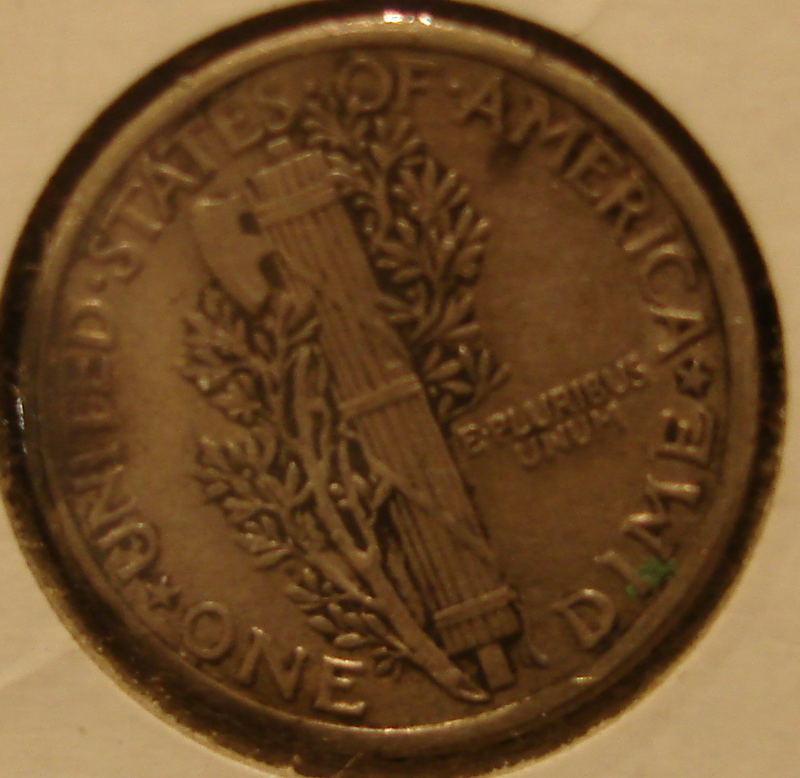 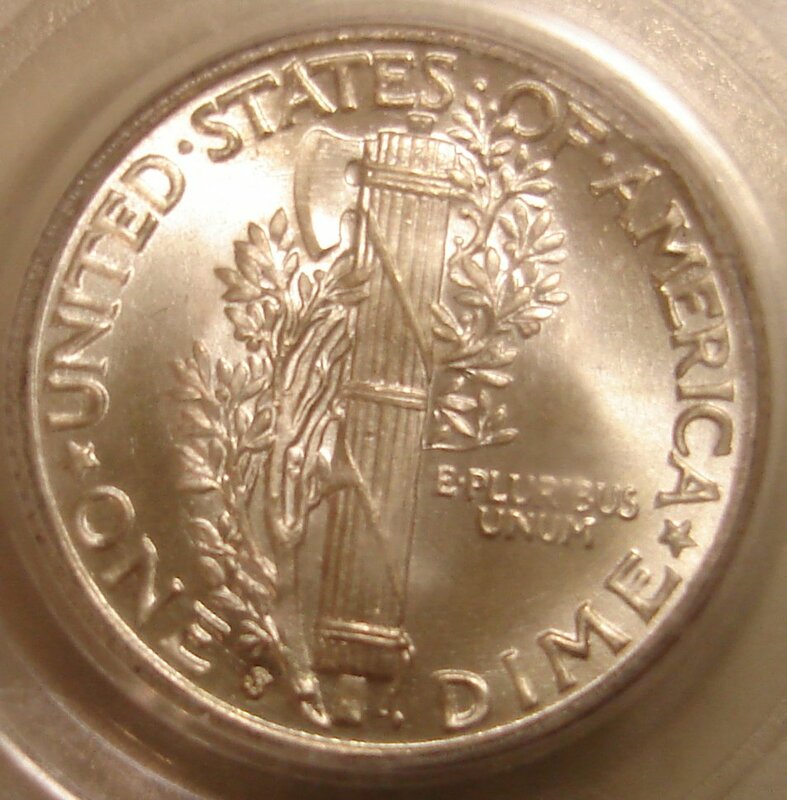 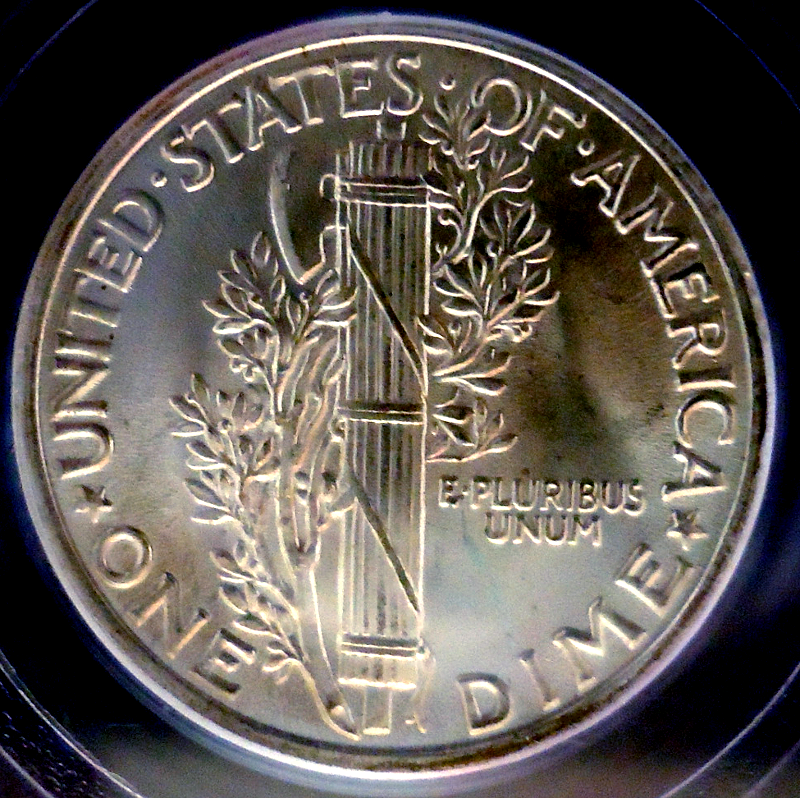 The Mercury Dime reverse has a rather odd reeded and axe design with a lot of subtle details. 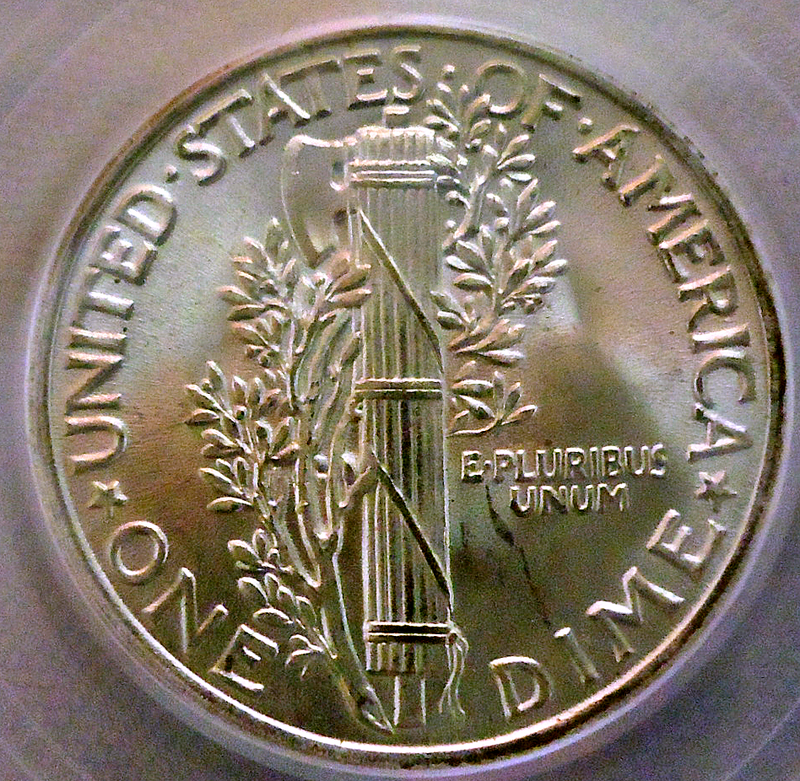 The reeds are bounded together with rode or bands. 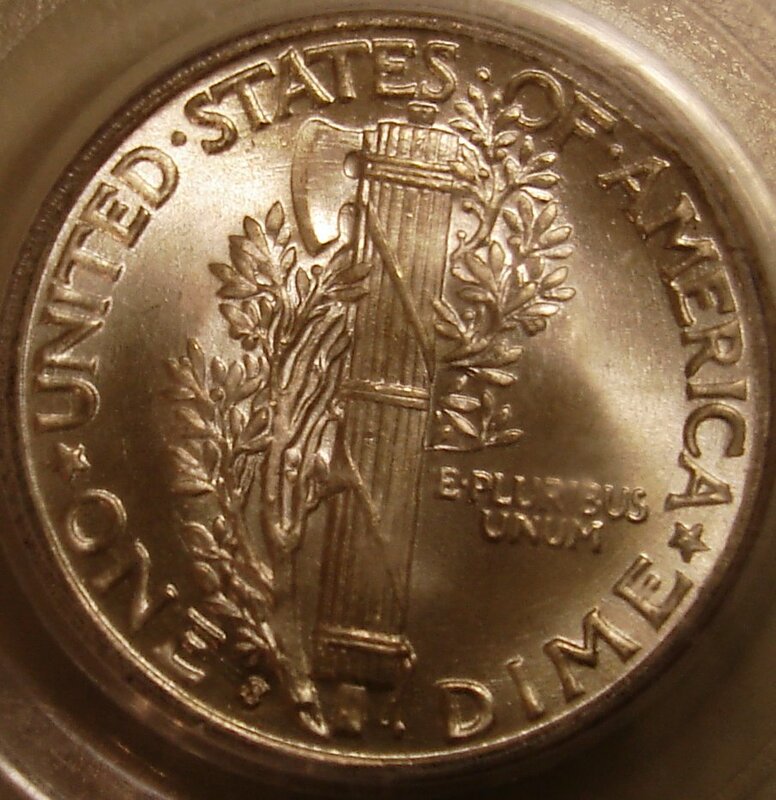 Strikes with full bands are highly prized. 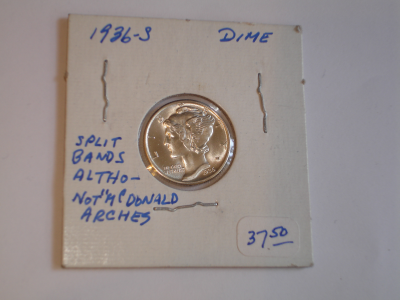 This very nice little 1936 S dime which was purchased for a about 30 dollar in a local Brooklyn coin shop was marked on the 2X2 in which the coin was sold as being Full Bands, without arches. 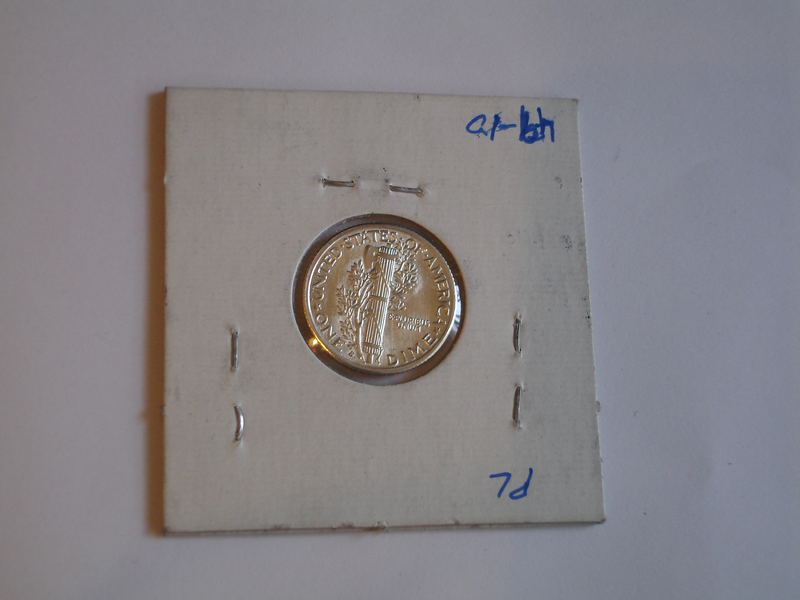 Upon bringing it home, we photographed it and then put the pictures on the net, asking what others thought of the grade. 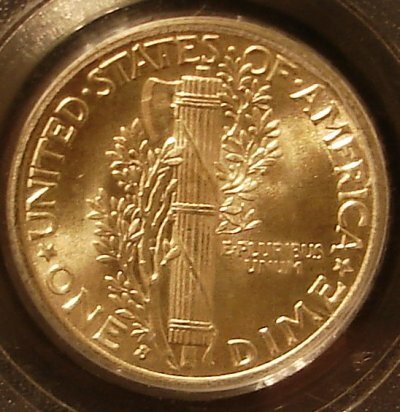 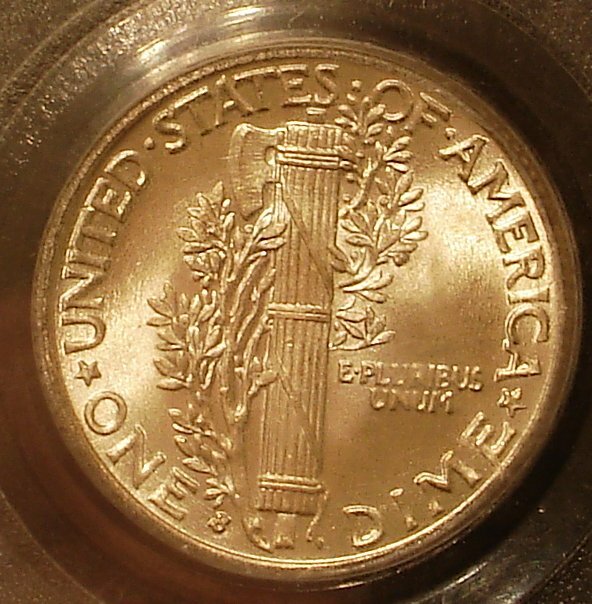 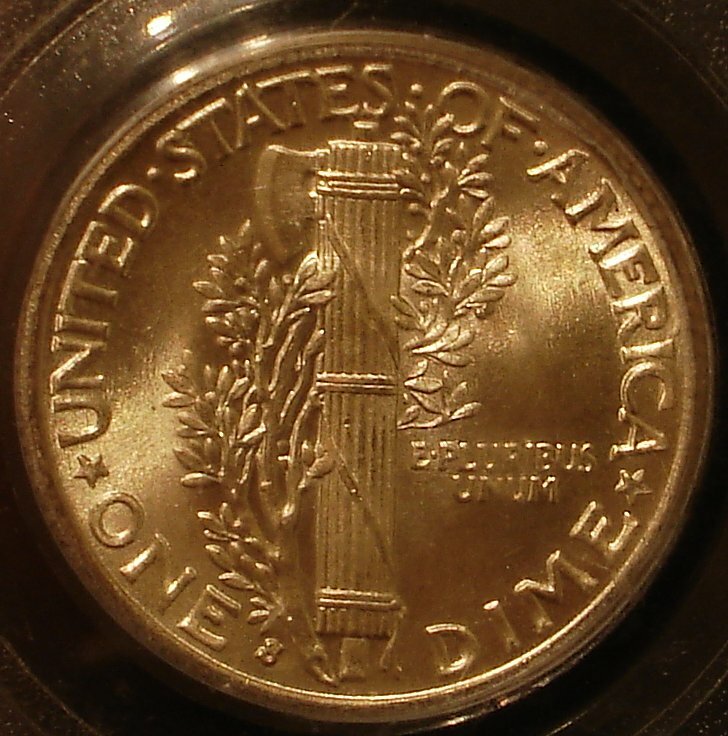 The question occurs is whether or not the coin is actually full banded, with the focus on the middle two bands on the reed. 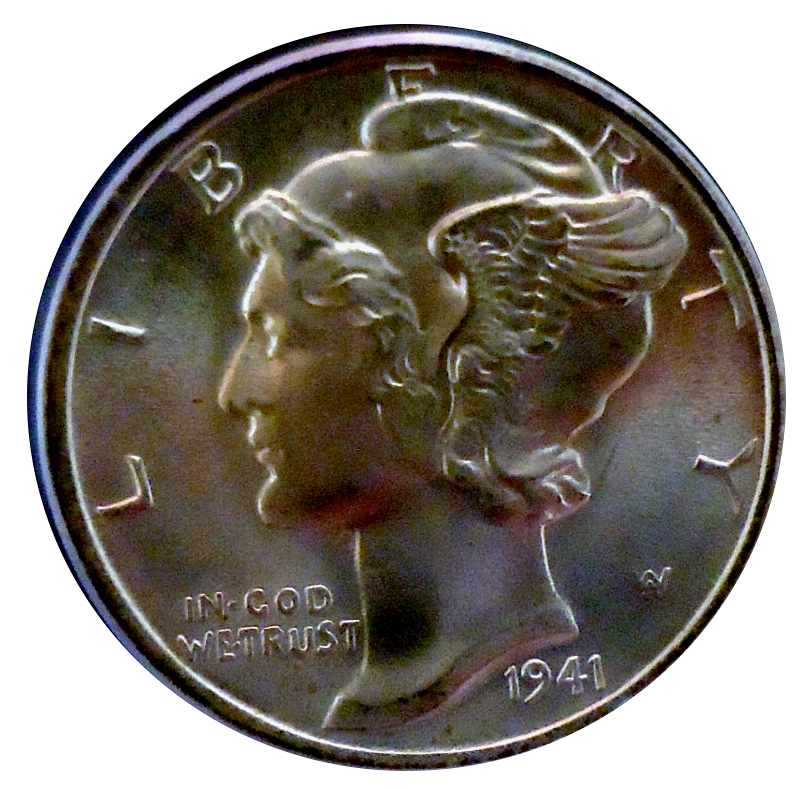 Further shots were inconclusive, although it seems that the coin was not Full Bands, despite being a very distinct strike. Furthermore, in the light of the photographs, the reverse of the coin shows die polish which drops the grade a little more. 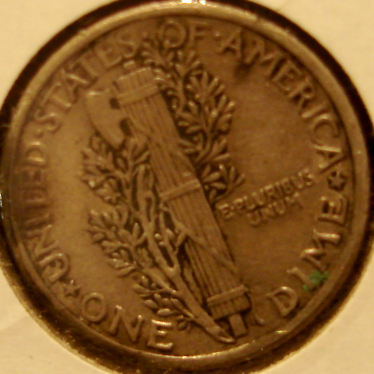 Although these polish lines on the fields of the dime are barely vissible with the eye, they stand out with the magnification. 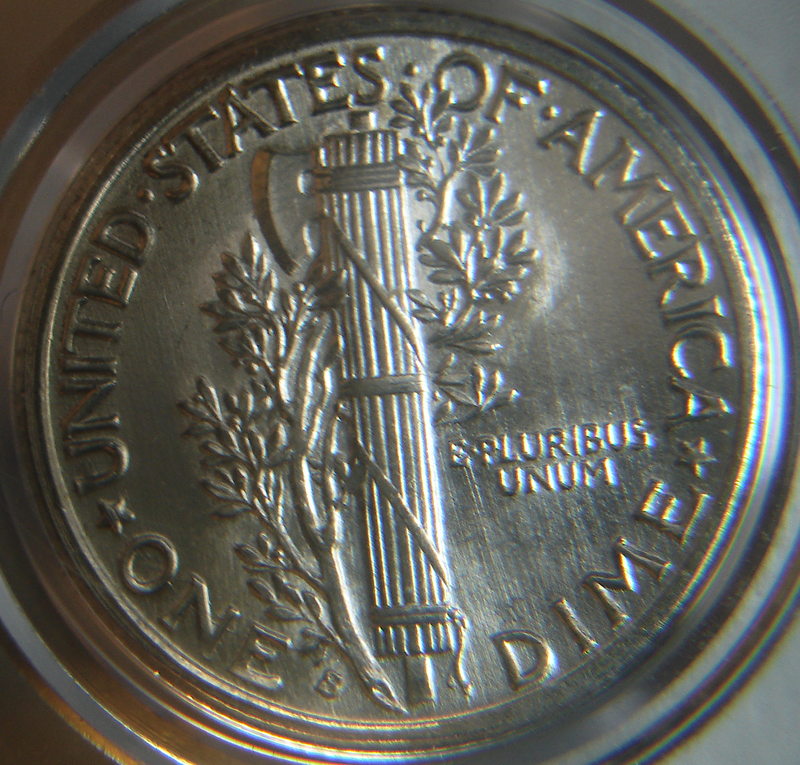 Finally, the reeds themselves have been blown up under magnification. 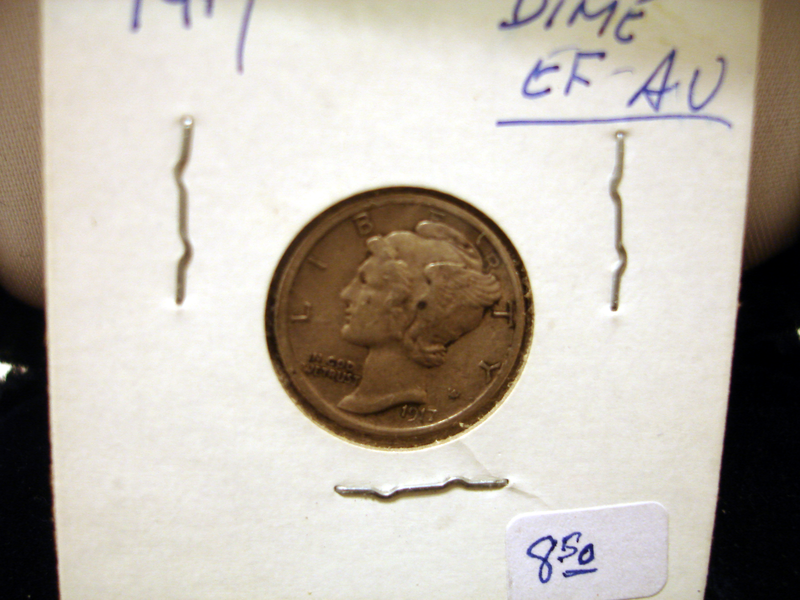 These photographs seem to conclude that the coin was not full reeds, although it is very close. 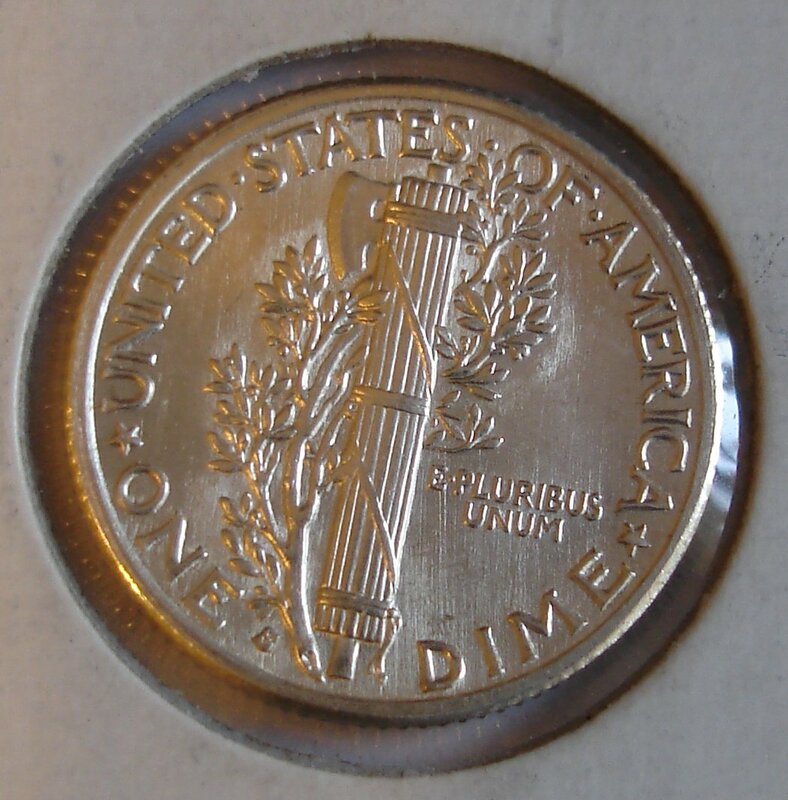 So as all this happening the taste developed to aquire another dime, one that was more clearly Full Banned. 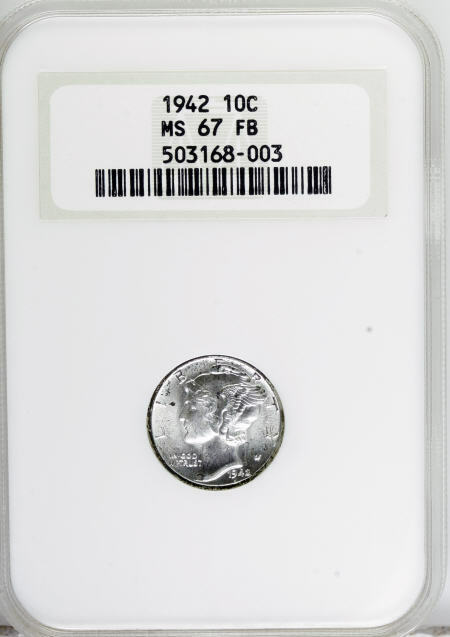 After much searching and consideration, this coin was aquired. 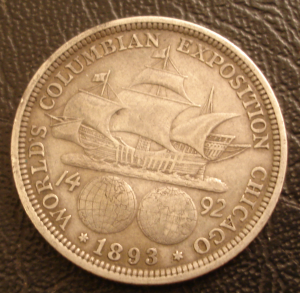 When looking at these photos we forget the scale of these coins. 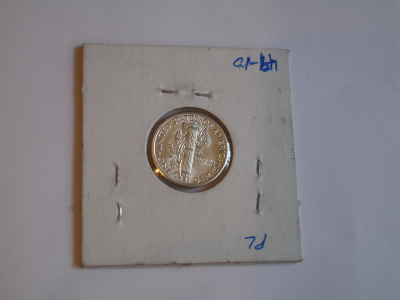 Mercs are very small and here is a good image to give you an idea of the scale. 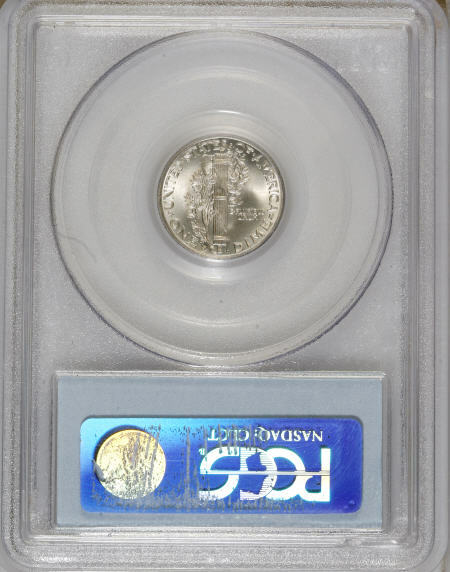 Here is a very decent circulating 1917 Dime which nearly has Split Bands on the reverse. It is an excellent strike. 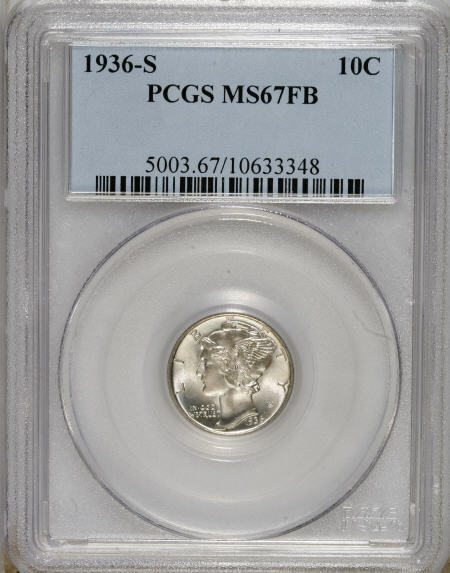 1941 PCGS MS67FB - I love this strike!